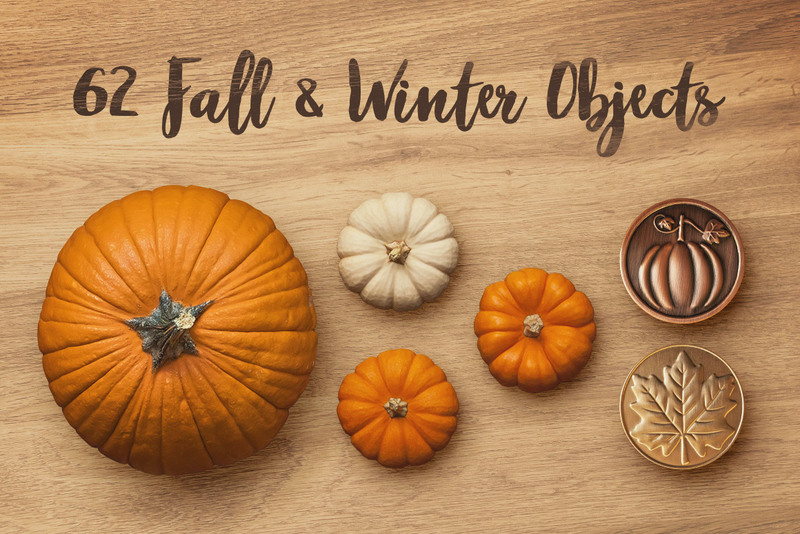 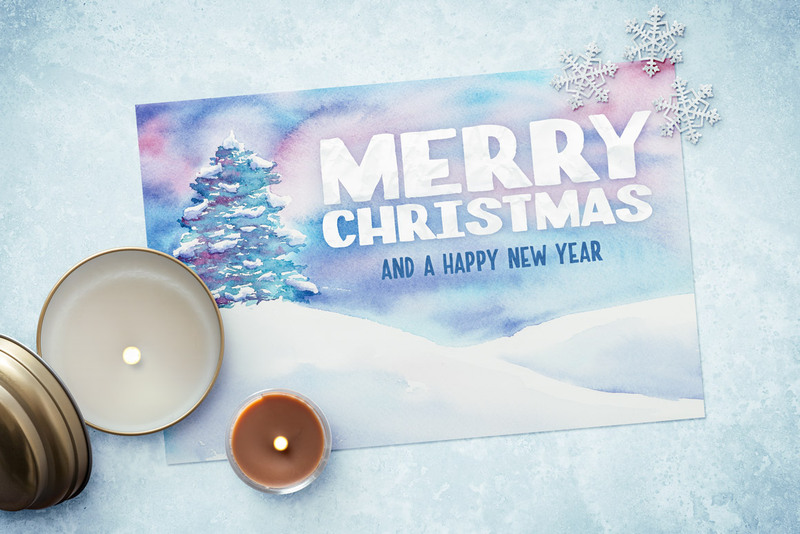 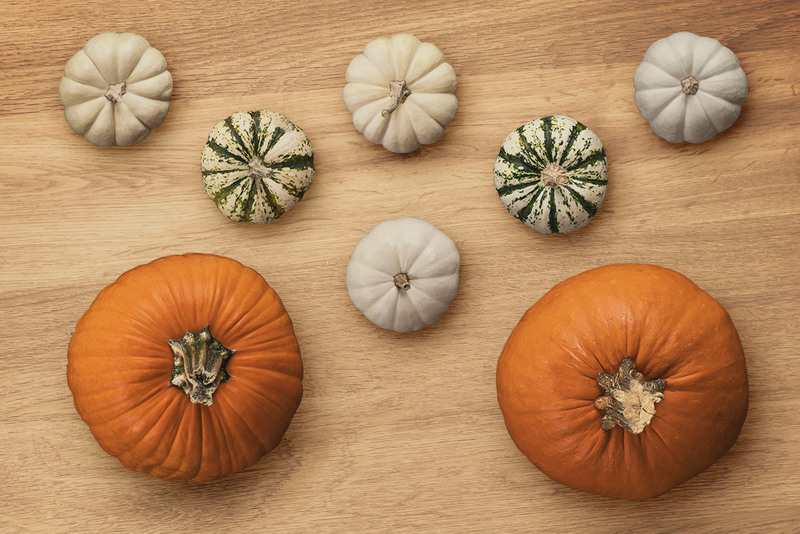 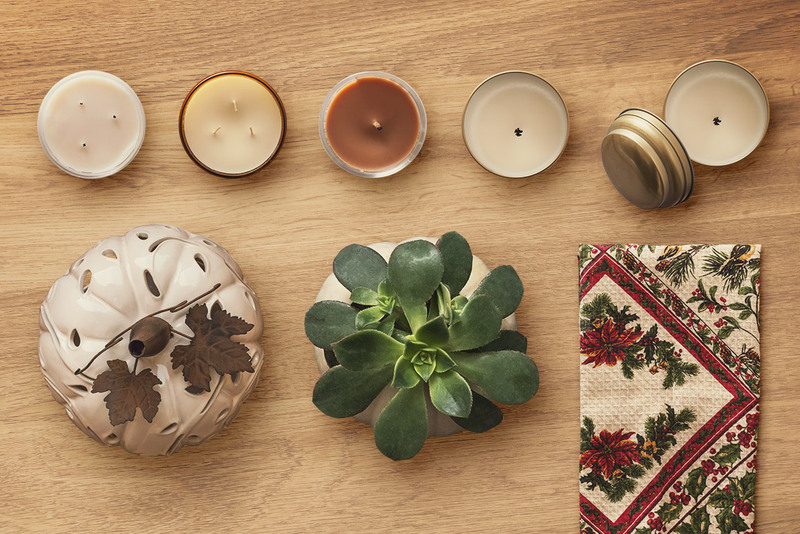 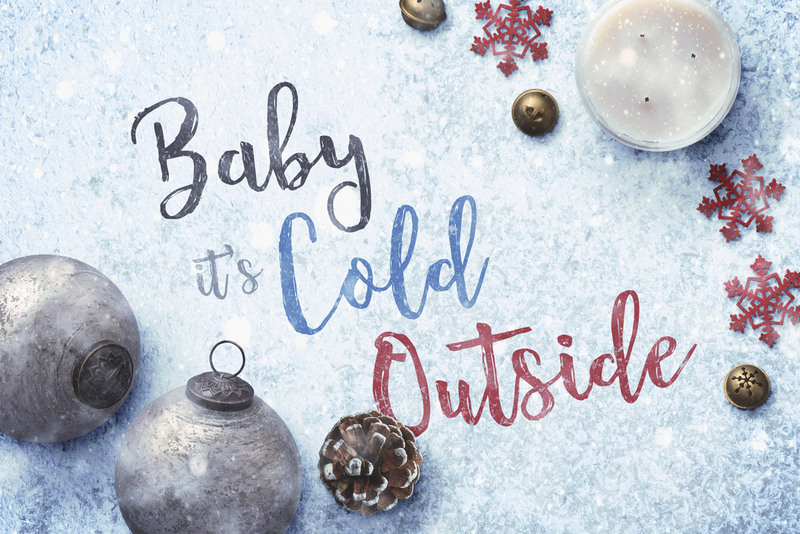 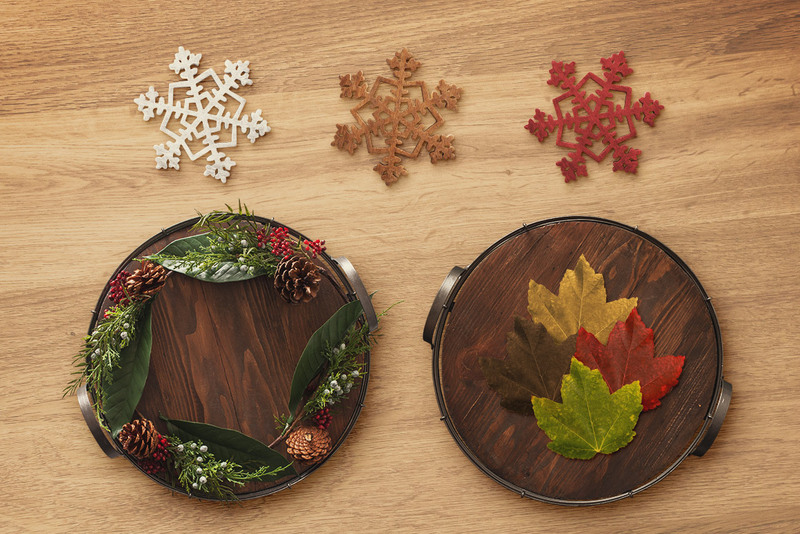 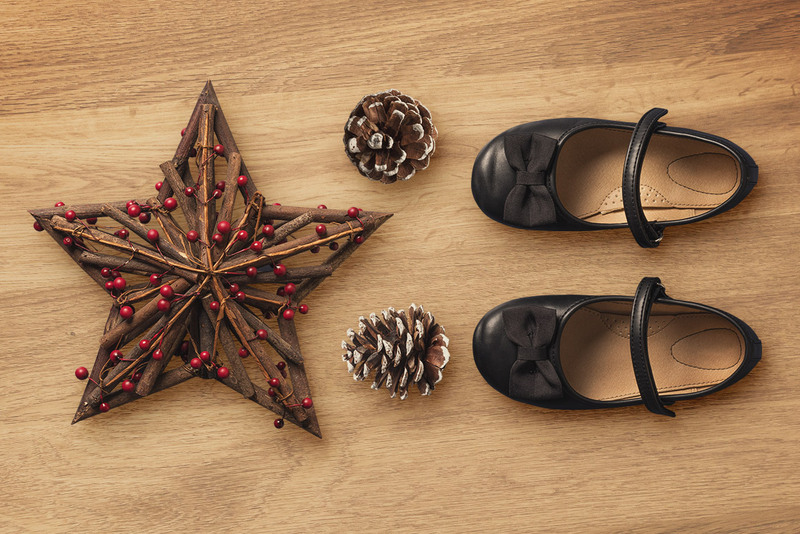 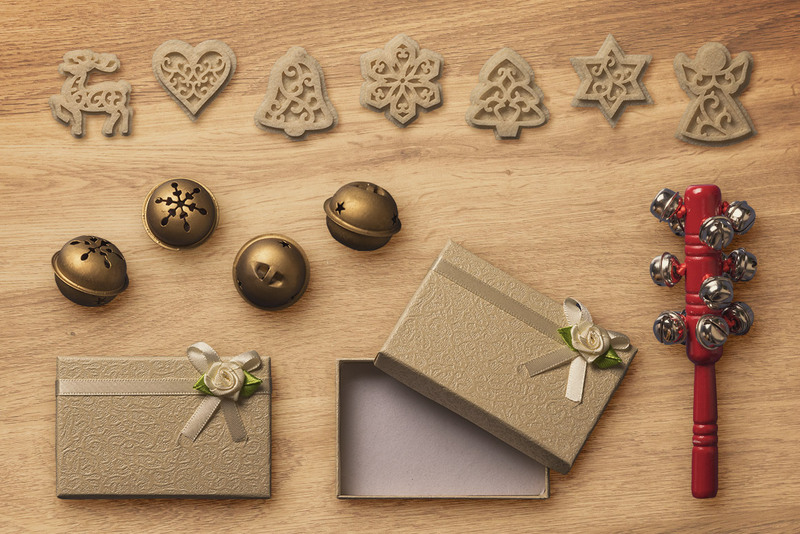 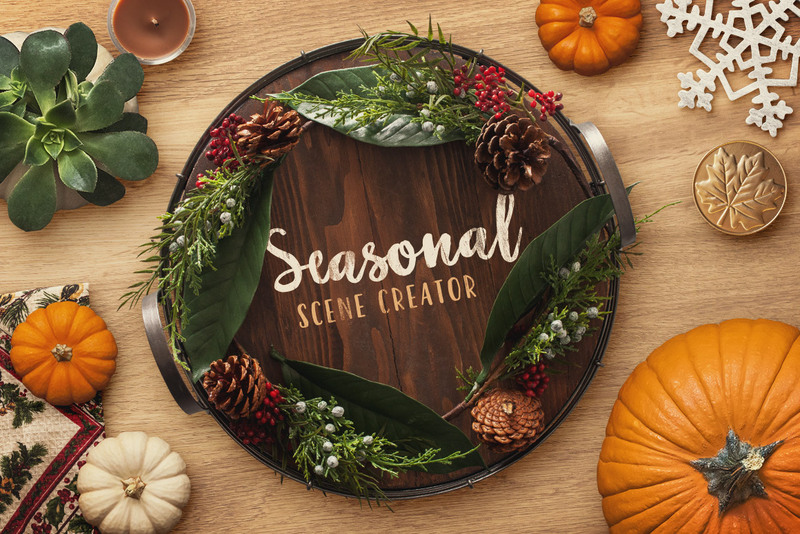 This seasonal scene creator is perfect for fall and winter header images, mockups, and more. 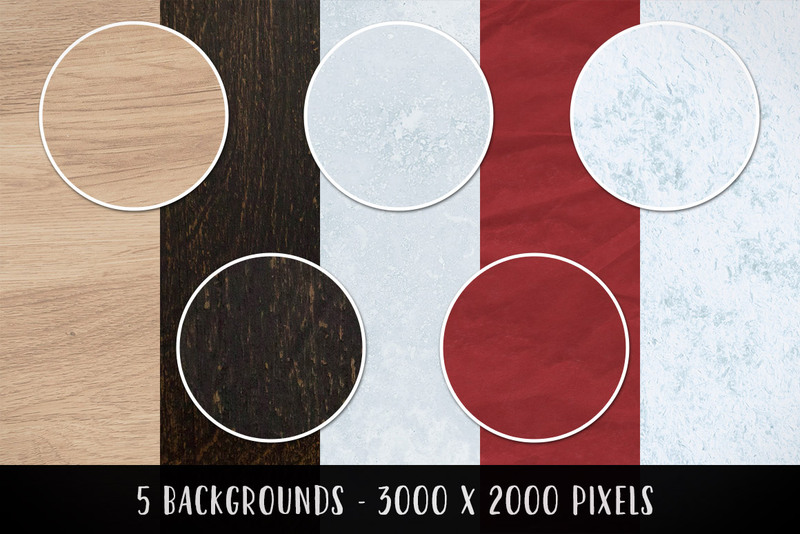 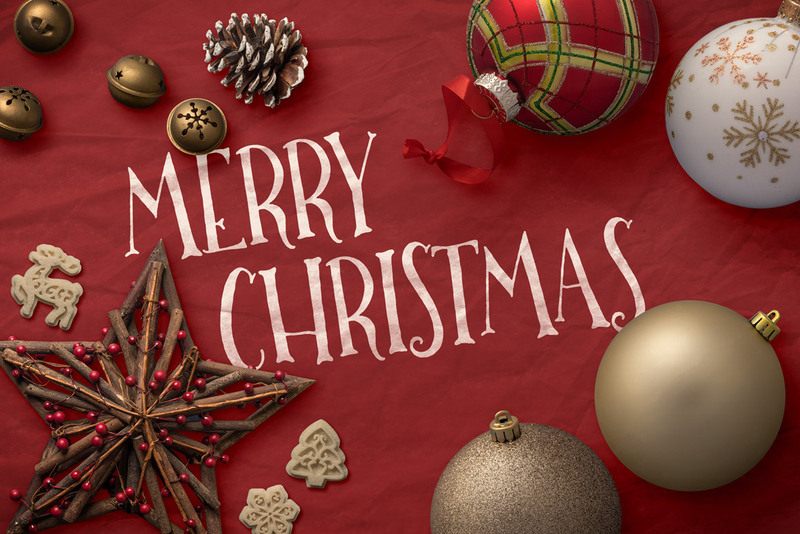 Included are 62 individual isolated objects, 5 premade scenes, and 5 high resolution background textures. 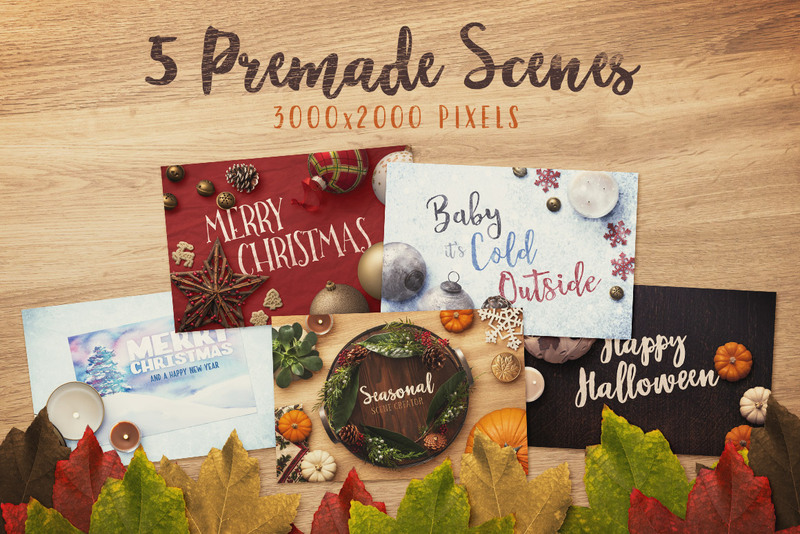 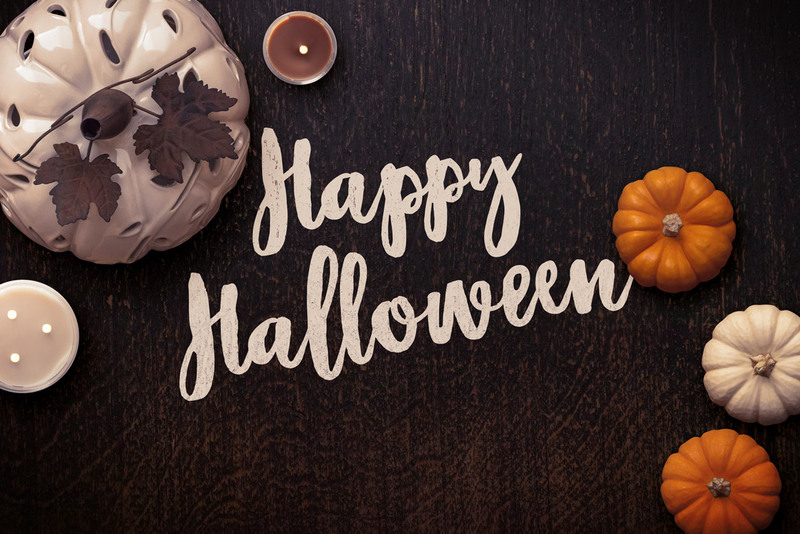 Quickly and easily create scenes for Halloween, Thanksgiving, Christmas, and more, or simply open a premade scene and customize the text. 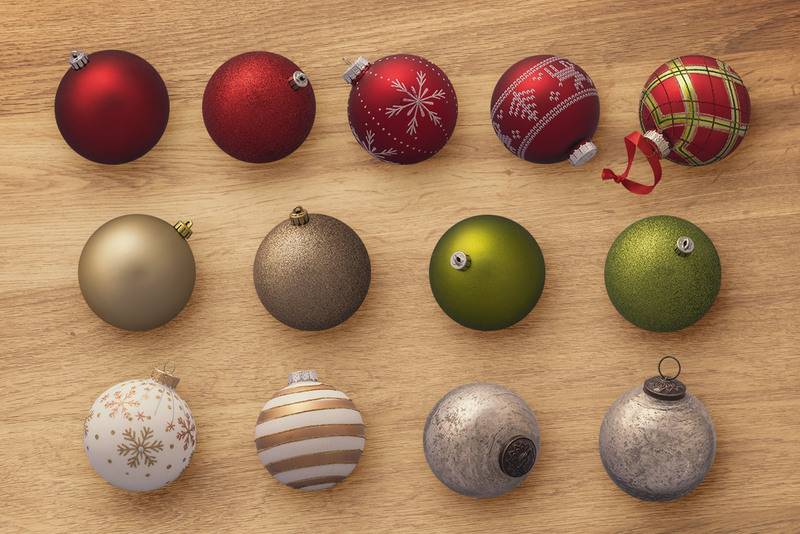 Fonts are not included, but links to all the fonts used are, so you can download the exact fonts used if desired.